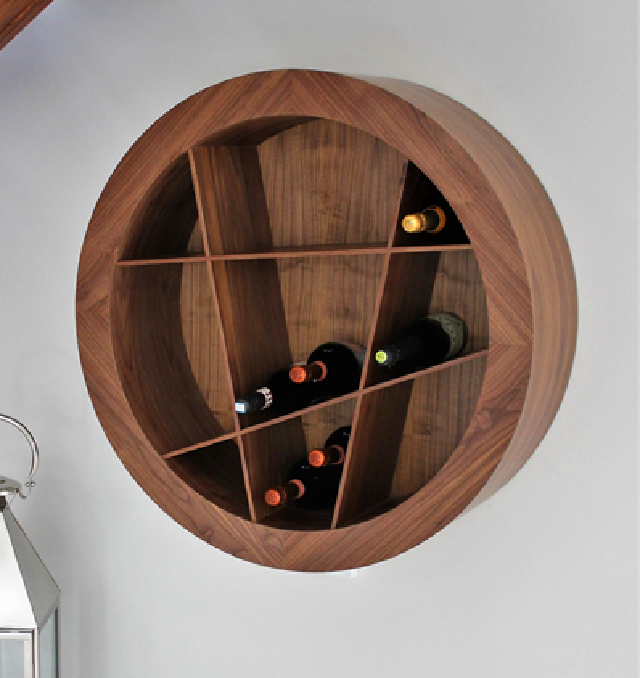 Wall hung circular wine rack. The Reims wine rack is a fabulous piece which will grace any home – and appeal to all. Be they wine buffs or just enthusiastic wine tasters! Featuring deceptively simple lines the outer circle of the wine rack is dissected by pieces of timber – which creates symmetrical spaces to position you bottles into. 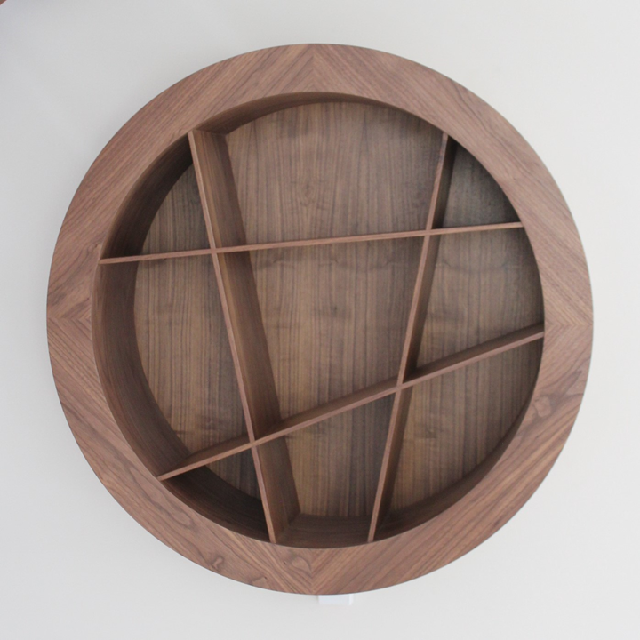 Made exclusively in our Lancashire workshop the Reims racks are initially being made in just walnut or oak. However there are lots of possibilities for personalising the wine rack as well. Alternative materials and finishes can be discussed. The wine rack is quite easy to install and full instructions are provided. 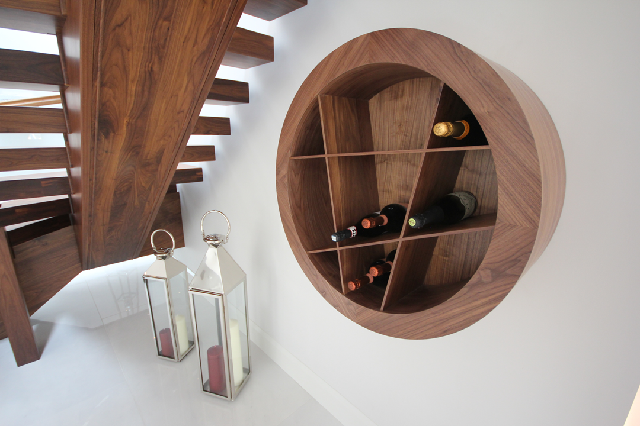 The circular design makes the wine rack sit comfortably in many different spaces. The Reims wine rack is available to buy now. Starting at £895. Click below to shop.